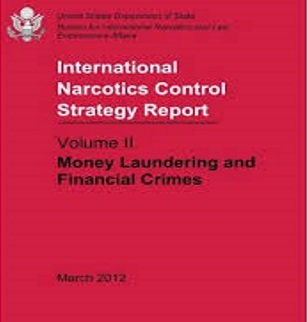 The US Department of State’s “International Narcotics Control Strategy Report (INCSR),” notes that the Bahamas, Belize, Haiti and Jamaica, are among 22 countries worldwide considered major drug producing or major drug transit countries. “Haiti remains a transit point for cocaine originating in South America and marijuana originating in Jamaica, en route to the United States and other markets. This traffic takes advantage of Haiti’s severely under-patrolled maritime borders, particularly on the northern and southern coasts. “Haiti is not a significant producer of illicit drugs for export, although there is cultivation of cannabis for local consumption. Haiti’s primarily subsistence-level economy does not provide an environment conducive to high levels of domestic drug use,” Washington noted. The report notes that Jamaica remains the largest Caribbean supplier of marijuana to the United States and local Caribbean islands. Washington noted that in 2016, drug production and trafficking were enabled and accompanied by organized crime, domestic and international gang activity, and police and government corruption. The report noted that illicit drugs are also a means of exchange for illegally-trafficked firearms entering the country, exacerbating Jamaica’s security situation. “Drugs flow from and through Jamaica by maritime conveyance, air freight, human couriers, and private aircraft. Marijuana and cocaine are trafficked from and through Jamaica into other Caribbean nations, the United States, Canada, and the United Kingdom. The report also named the Bahamas, Barbados, Belize, British Virgin Islands, Cayman Islands, the Eastern Caribbean, Guyana, Haiti, Jamaica, Suriname and Trinidad and Tobago, as major money laundering countries. Washington said that this year’s list of major money laundering countries recognizes this relationship by including all countries and other jurisdictions, whose financial institutions engage in transactions involving significant amounts of proceeds from all serious crime. Present your driver’s license to be scanned and verified. Have your photo taken. Pass your belongings through a metal detector. Welcome to your child’s school.